If three cats catch three mice in three minutes, how many cats would be needed to catch 100 mice in 100 minutes? The same three cats would do. Since these three cats are averaging one mouse per minute, given 100 minutes, the cats could catch 100 mice. 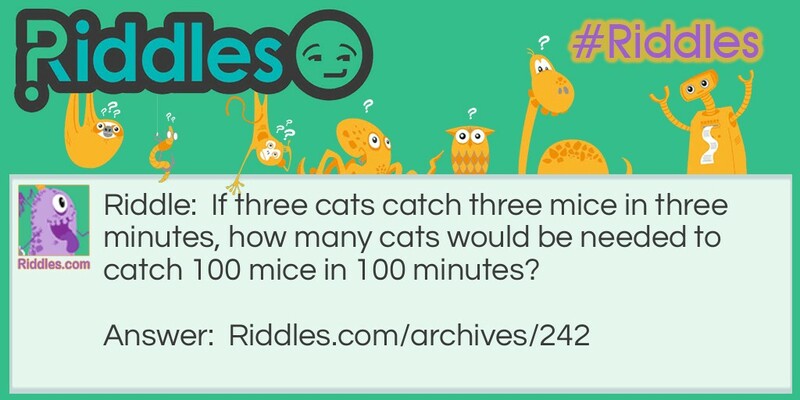 Cat and Mouse Riddle Meme with riddle and answer page link.